Create a Baby’s 1st keepsake that will last a lifetime! 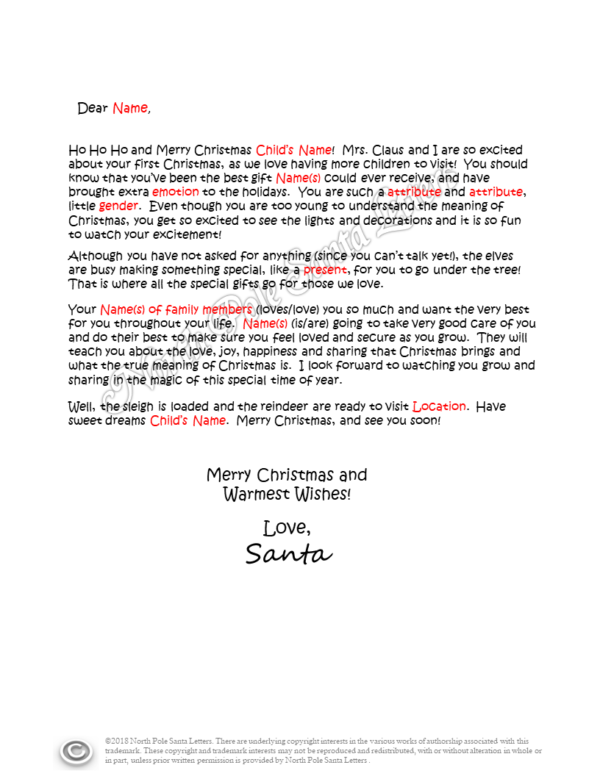 Celebrate a new baby in your life or in your loved ones’ lives and send a Santa letter that children and parents alike will love to read when they grow older. 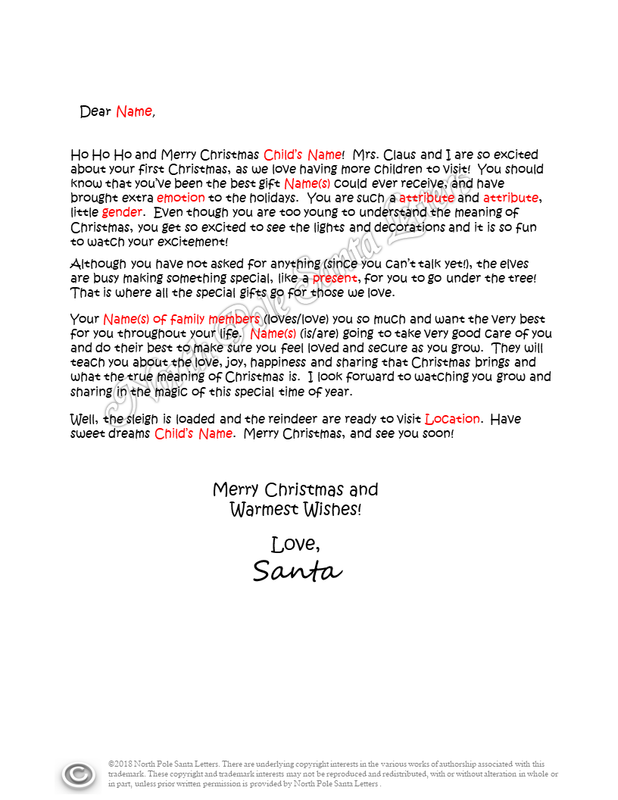 Our The Best Gift of All letter highlights the joy of having a new member of the family to celebrate a baby’s 1st Christmas.